Know someone who loves Hello Kitty? Planning a Hello Kitty inspired party? Our vanilla flavored lollipops in hues of pink are the purrfect addition! We hand make these in small batches, individually wrap and tie with ribbon(s) in your choice of colors! These are wonderful as party favors, in goodie bags, or as an edible table decoration! They work well too with My Little Pony and Princess theme parties....garden parties....baby showers....bridal showers....weddings! We can make them in any color combination you desire! If you want a larger or smaller order than listed contact me for pricing. Check out our other Pink Products that go well with these as cake toppers or favor! 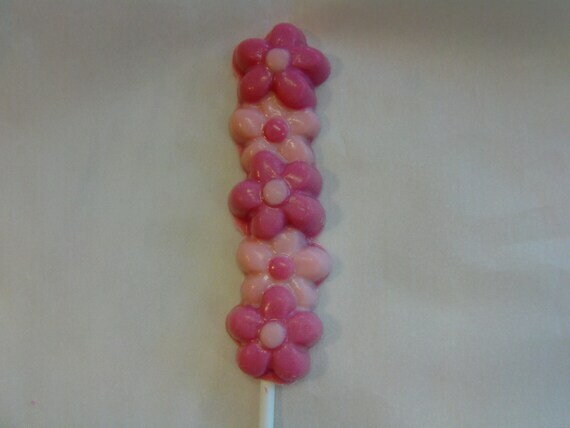 4 Beautiful Butterfly Pretzel Pops - Perfect Mother's Day, Weddings, Showers! Can Customize The Colors!